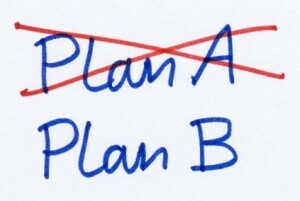 Home » Blog » What is your Plan B? Do you even have one? What is your Plan B? Do you even have one? That sounds like as strange question to be asking, but with today’s economy and the uncertainly out there in organisations, it’s a good one to be asking. Five years ago my job came to a sudden end and I had no Plan B. I just tired more of my Plan A but the Universe decided that it would not cooperate and I had to come up with a Plan B which nowadays is my Plan A. Most of us working in companies be they large or small, feel we are ‘bullet proof’. Sadly, history shows that whether you are at the top of an organisation, at the bottom or somewhere in between, no one and I repeat no one is immune from the possibility of losing their job. So, with the ‘organisational’ Grim Reaper metaphorically standing behind your shoulder, what should one do? Firstly, I think one should accept that organisations are not reliable in the sense where once you could stay as long as you wanted, assuming you performed, today, anyone potentially could lose their job. Once you have made a mind shift in your view of longevity, or otherwise of corporate life, you need to think what would a Plan B look like? I was asked this very question on a Brisbane radio interview this week. The Queensland Department of Health had recently undertaken a very large downsizing and there were many people who, after spending their whole careers in that department, found themselves without a job. I said that whatever you decide to do, you need to play to your strengths. For myself, I like people, am friendly and try to make a difference, so what I chose was a good fit. I had to get out of my comfort zone and learn a great many new skills but I could build on what I already have. 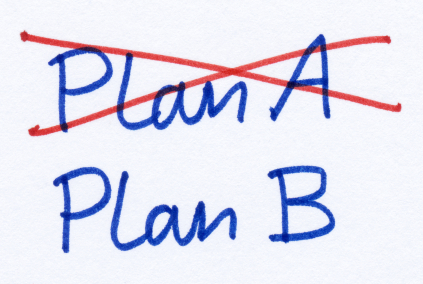 For those who are still in a job but realise they need a Plan B now, think about what type of work you could do that will fit in with your current work and personal demands. 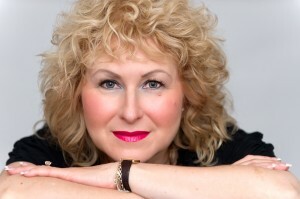 If you work in Accounts, for example, you may think of starting a bookkeeping business with just a few clients. That way you can expand your client base should the need arise. For others, it may be doing something that they are passionate about one night a week. Again, with the ability to expand if necessary. Start doing some personal development by reading books that will help you become a better you. Even if your Plan B never becomes your Plan A, I guarantee you will be a better person and you and your organisation will benefit from that. Feel free to contact me if you want some recommended reading.